Samsung India today launched the Samsung Galaxy On Max, expanding its best-selling range of online exclusive smartphones. 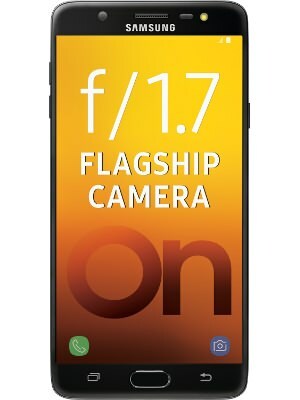 Available exclusively on Flipkart, the new device is equipped with a best-in-class camera tailor-made for low-light photography, enabled by its flagship f/1.7 aperture. Galaxy On Max sports an industry-first Social Camera Mode for people who like to ‘share on-the-go’. The Instant Share & Edit feature enables instant sharing of pictures with a single click on pinned social media applications. Live filters and cool Indian-themed stickers enhance the overall experience of clicking and sharing images. The phone also features the revolutionary Samsung Pay Mini, a ‘Simple, Secure and Almost Everywhere’ payment system. “Today consumers use their smartphones to capture memories. Galaxy On Max is the perfect device for this, enabling users to click brilliant photographs under all light conditions. It also offers the option of sharing pictures on-the-go with a single click. Galaxy On Max will redefine the way people click and share pictures,” said Mr. Sandeep Singh Arora, Vice President, Online Business, Samsung India. “At Flipkart, it is our constant endeavor to redefine the smartphone experience by offering customers the best products that are future-ready, stylish and high on performance. Our exclusive partnership with Samsung for their best in class technology combined with our reach and affordability levers are sure to keep our ever-evolving new generation of smartphone users excited,”said Mr. Ajay Yadav, Vice President, Mobiles and Accessories, Flipkart. Galaxy On Max allows users to capture prized moments brilliantly with powerful 13MP front and rear cameras. With its flagship f/1.7 aperture on the rear camera, one can click brighter, sharper, mesmerising shots even in low-light conditions. Moreover, it captures vivid details, ensuring brighter, better pictures. Samsung Pay Mini is a cool new way to pay – most secure and fast. One can pay for almost anything instantly using UPI and mobile wallets. A simple touch and it’s good to go. Galaxy On Max, powered by a 2.39GHZ, 1.69GHz Octa-Core processor, a 3,300mAH battery and 4GB of RAM makes multitasking seamless. The power-packed device is designed to optimize performance with impressive battery life for a smooth, enduring experience. The 32GB internal memory and a micro-SD slot expandable up to 256GB provide more storage space. Galaxy On Max’s stunning 5.7” FHD display and elegant metal uni-body design are also eye-catching. Priced at INR 16,900, Galaxy On Max will be exclusively available on Flipkart in Black and Gold colours.